Compact High Performance Speaker CableAdvanced speaker cable for hookup of speakers to stereo and surround sound home theater systems. Monster XP's compact design makes it ideal for high-performance installations where space is at a premium.Outstanding Sonic Performance at an Attractive PriceMonster's special winding construction more accurately transfers music signals. XP's exclusive Magnetic Flux Tube and Special LPE Insulation let you hear more of the music with deeper, tighter bass, better imaging, and powerful dynamic range that easily surpasses ordinary zip cord and many more costly "audiophile" cables. The Custom Series Speaker cables offer enhanced clarity and maximum transfer of power to your speakers. 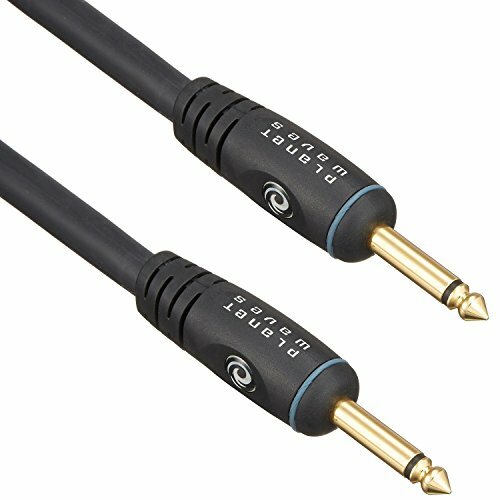 The cable features 14 gauge oxygen-free copper conducts, encapsulated sodering points, molded strain releif and gold plated copper connectors. These built to last cables offer supreme durabillity under harshest conditions and come backed by a lifetime guarantee. 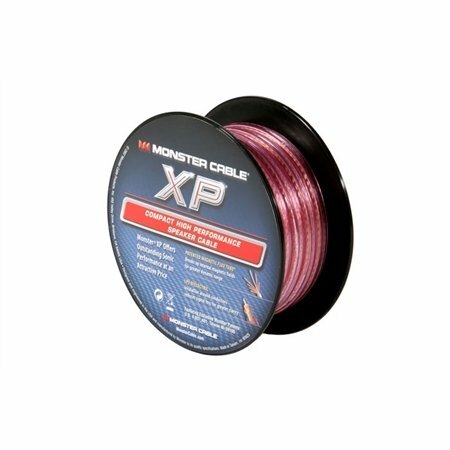 CL Rated Monster XPHP Clear Jacket Advanced Speaker Cable maximizes in-wall speaker performance. Monster's XPHP technologies are now found in a CL-3 rated jacket. Monster XP Navajo White - Compact Speaker Cable MKII - 100 ft. mini spool - 30.48 m.
Need more speaker wire? This 30-foot spool of Monster XP« Navajo speaker cable is just the thing. Cut off as much or as little as you need. The soft white color matches most walls and is even paintable! 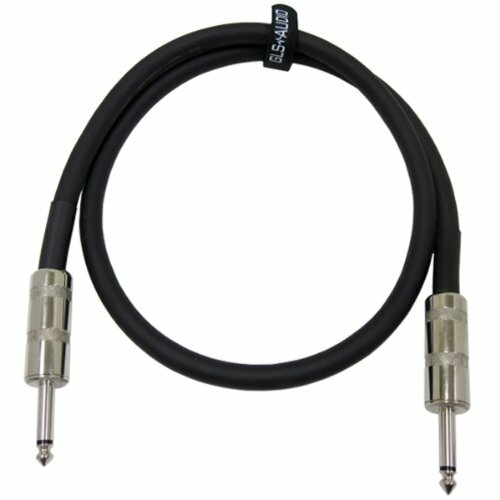 GLS Audio speaker cables are manufactured with the highest grade materials in the industry. 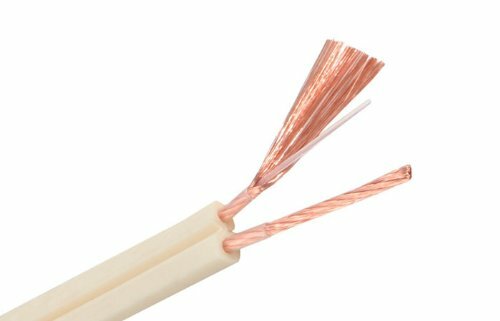 The copper wire is rated in AWG spec which stands for "American Wire Gauge". The AWG rating was developed by the USA as a result of some wire manufacturers stating their wire was a certain spec when it really wasn't. You'll notice most imported wire and cable manufacturers will rate their wire in "G" or Gauge (not AWG). The "G" rating can be used for any wire size. For example: A 12G rated cable may only be equivalent to a 18AWG cable (or worse). There are no regulations or specifications on "G" rated cables. 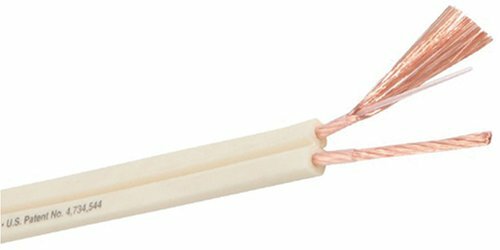 How can you determine if a "G" rated cable is the same spec as an AWG cable? Unfortunately, you can't unless you test the power loss per foot. Sometimes the weight may be an indicator. For example: GLS Audio 50ft 12AWG cables weigh about 4lbs whereas most of our competitors weigh about 2.5lbs. This may be a result of the copper wire gauge not being true AWG. 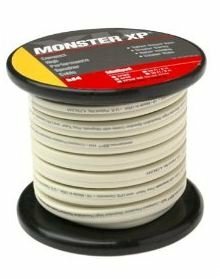 Monster XP Navajo White - Compact Speaker Cable MKII - 50 ft. mini spool - 15.24 m.
Looking for more Monster Speaker Cable similar ideas? Try to explore these searches: Yarn Cuff, Insteon Motion Sensor, and Sun Sunless Tanning. Look at latest related video about Monster Speaker Cable. Shopwizion.com is the smartest way for online shopping: compare prices of leading online shops for best deals around the web. 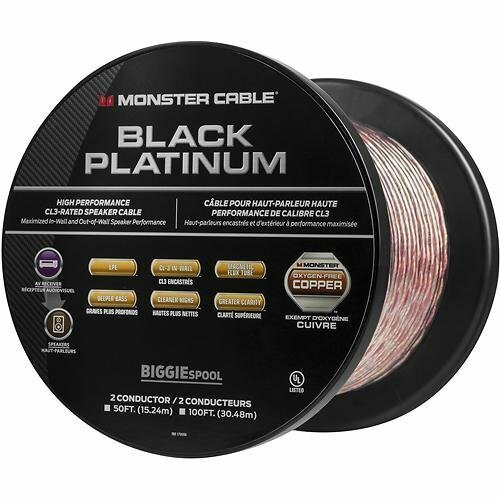 Don't miss TOP Monster Speaker Cable deals, updated daily.